I hate when a move comes along that I’m excited about. It happens a lot, obviously, but when the expectations are high, the fall to Earth can be so much more painful. You can’t help but watch this cast and want them to do well. Sadly, it just never quite happens. 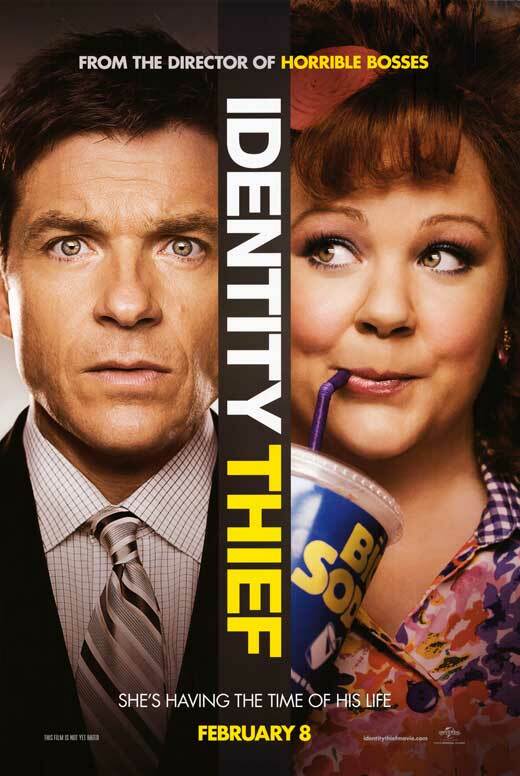 “Identity Thief” actually has potential as a story. A straight-laced family man (Jason Bateman) has his identity stolen by a bawdy con-woman (Melissa McCarthy) have misadventures as they travel the country to clear Bateman’s name. But, for reasons I cannot explain or condone, they also throw in a subplot of two drug enforcers and a bounty hunter chasing them (this plot abruptly and pointlessly ends 20 minutes before the end of the film) which grinds all comedic momentum to a standstill as soon as it rears its ugly head. Bateman and McCarthy have great chemistry and are fearless when it comes to the intense physical comedy. Their interplay is fun to watch and quite honestly is really the only bright spot in this uninteresting mess. The worst part is the wasted potential. All throughout this film you can see places where they wanted to/tried to course correct. The varying weight placed on Bateman’s family, or his financial troubles, or even Bateman’s work troubles ebbs and flows through the whole story. And, McCarthy’s criminal is at times sympathetic, menacing, funny, awkward, charming, and confident. Sometimes in the same scene her demeanor abruptly changes for no adequately explained reasons. And the film oscillates between being a wild road film and an action packed chase film- “Cannonball Run” becoming “The Getaway” on a dime. Strangely though the whiplash isn’t so much jarring as it is boring because you never spend enough time in any state to feel emotionally connected to anything happening. I’ll reiterate, I wanted to like this. I’ve been a fan of Bateman’s back to his TV days on “The Hogan Family” (“Valerie”) and McCarthy was one of the many reasons I fell in love with “Gilmore Girls” and I’ve loved her since. The sad fact though is that nothing in the movie worked. Even then hackneyed “happy” ending is both trite and ultimately ridiculous as it unravels itself in the closing minutes of the film. Great review, consider yourself followed! Good review Eric. At the end of the day, it is not the two leads that let this movie down, it is the material itself, which unfortunately causes the movie to be a slight rental recommendation at best.